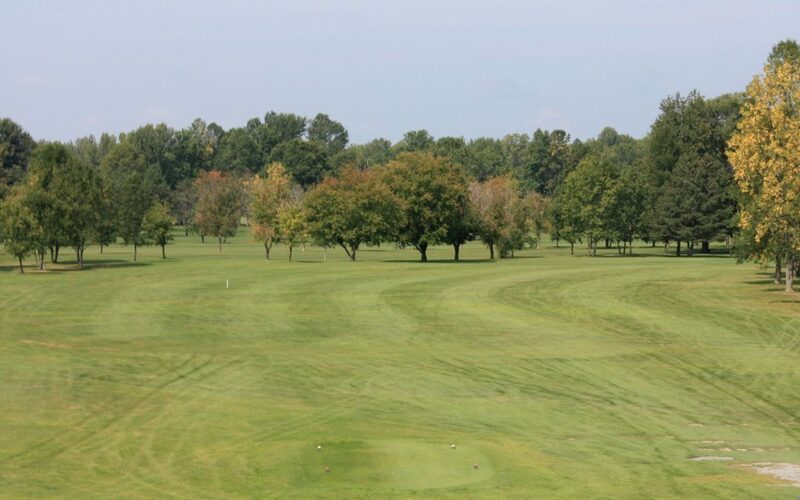 The following prices Include 18 holes of golf with cart and your choice of food. Delicious ham and turkey combo piled high on a kaiser roll with swiss and romaine; chips, cookie & cracker snacks and soda or sport drink. This lunch can be done prior to golf or grab & go at the turn. After 18 holes of golf what is better than a lean ground beef burger grilled to perfection on a kaiser roll? Add your own lettuce, pickles and onion. Chips, melon, cookies, and non-alcoholic drink are included. You won’t find a better deal. “Dogs at the turn” lunch above and a great steak bake following completion of play. We provide the New York Strip Steaks, you do the grilling. Dinner includes tossed salad, baked potato, garlic bread, 4 bean salad, hot peppers, fruit, dessert, and coffee or cold non- alcoholic beverages. All prices include sales tax, and are subject to change. Gratuity is not included. For league openings call Lynee.